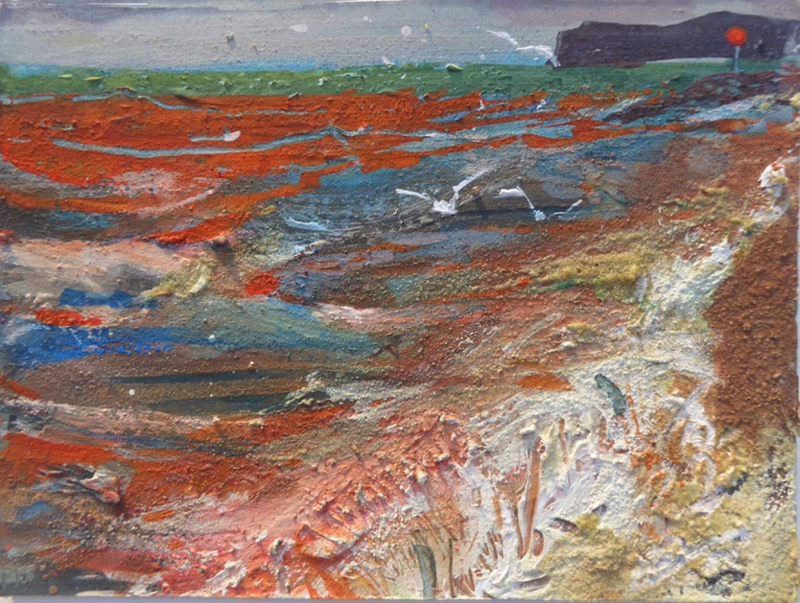 Artist Frances Hatch, winner of the THG OPEN 2016, has created a new body of work for ‘Red Earth Under My Nails’ her solo show at THG. Frances Hatch was awarded the Shenzhen International Watercolour Biennial Prize in 2016 by The Royal Institute of Painters in Water Colours. 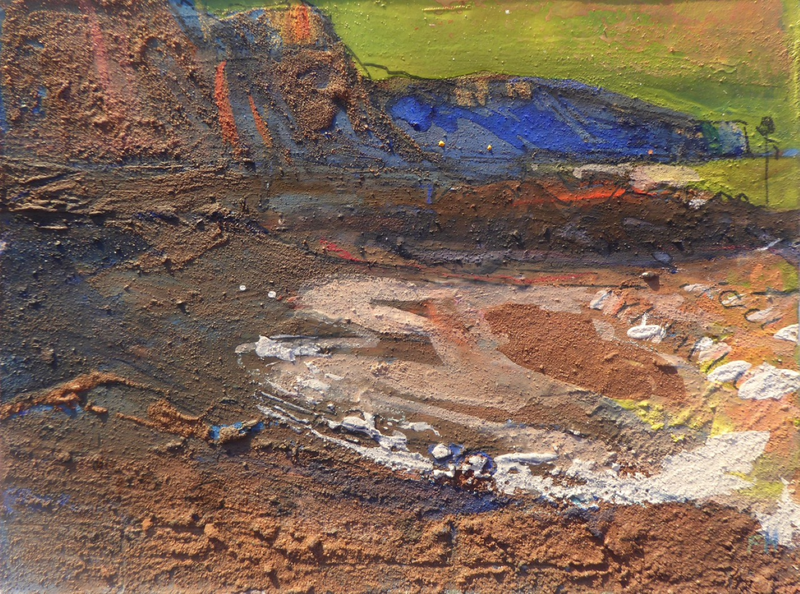 She contributed to Thames and Hudson’s 2015 publication ‘Drawing and Painting: Materials and Techniques for Contemporary Artists’ and is senior tutor at West Dean College. 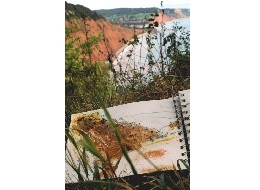 Friday 27 October 10am-4pm Art Trip to Ladram Bay: £55 (£45 THG Friends) - transport and sketch book provided. Saturday 28 October 5-9pm (art activities finish at 8pm). Spooky Halloween Party to celebrate the national Museums At Night festival. Integrating printed and painted marks woven under and over each other. 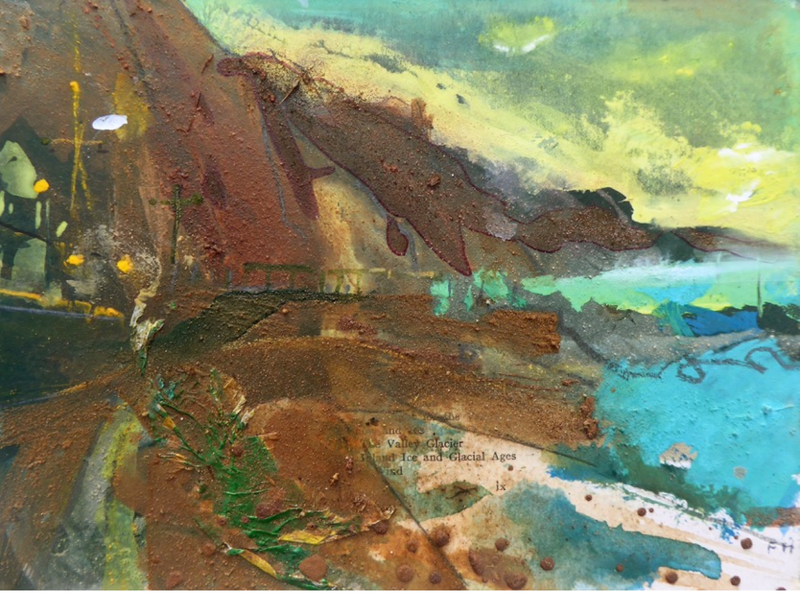 Photo etching, collagraph ( Ladram Bay Otter Sandstone) earth ink (Mercia Mudstone), black and grey ink applied ‘a la poupée’, hand applied blue, red, yellow and white acrylic with Green Mudstone. Printed on Arches Cream paper 250gsm. acid free 100% cotton.